FairLifts coordinates an array of North Carolina transmission line construction services in North Carolina. 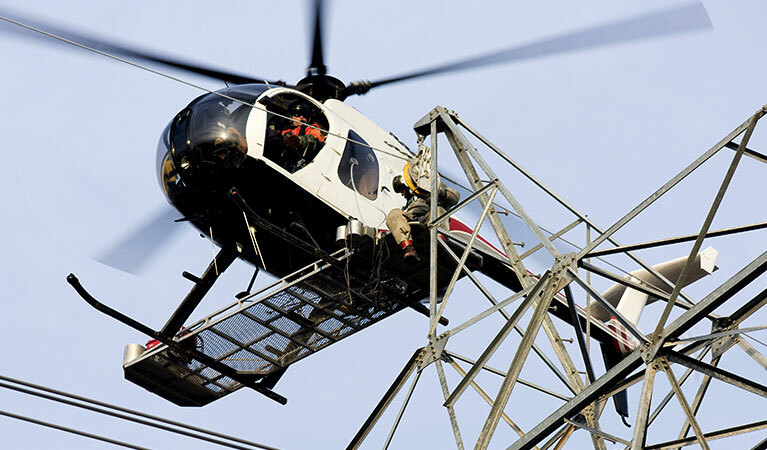 Our global network of helicopter operators ensures cost-effective and timely transmission line construction solutions across the state with minimal environmental impact. Services include structure and pole placement, transport of vehicles, equipment, concrete and matting, structure framing, including changing cross-arms or davit arms and installing x-braces, knee braces and v-braces, hanging insulators and stringing blocks, pulling sock line, hard line, optical ground wire (OPGW) and shield wire, installing spacers, marker balls, bird discouragers and anti-galloping devices, and post-construction inspection services. North Carolina is the third-largest producer of electricity generated from solar photovoltaics (PV) in the US with nearly all solar power produced at utility-scale facilities operated by independent power producers. Also, of the 711 biodiesel fueling stations nationwide, more than 16% are in North Carolina. The state is fourth in the US in net electricity generation from nuclear power, producing 5.3% of the nation's total. Nuclear energy contributes the largest share of North Carolina's electricity generation, 32.5%. Natural gas-fired generation follows at 30%, and coal accounts for 28.6% of the state's net generation. Last year, a wind farm, the largest in the Southeast, with 208 megawatts of capacity came online in the state. FairLifts coordinates helicopters for external loads and heavy lifts. Our network of operators guarantees strict safety standards and cost-effective solutions. Heavy lift helicopters with a lift capacity of more than 9,000 lbs are available for the transport and placement of substantial elements for large-scale construction projects with minimal environmental impact. FairLifts books helicopters for wire stringing and installation of primary conductors onto the transmission line structures, including the installation of conductors, ground wire, insulators, stringing sheaves, rollers or travelers, vibration dampeners, weights, suspension and dead-end hardware assemblies for the entire length of the project. 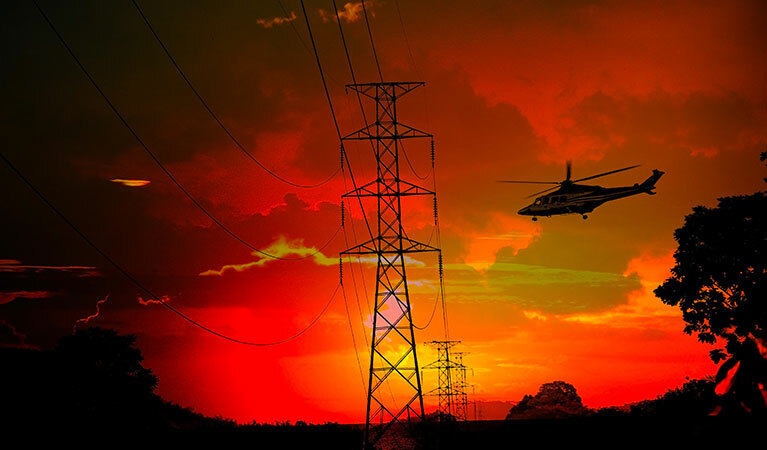 Helicopters can be reserved for utility pole installation, permitting crews to reach remote or rugged terrains with minimal environmental impact. 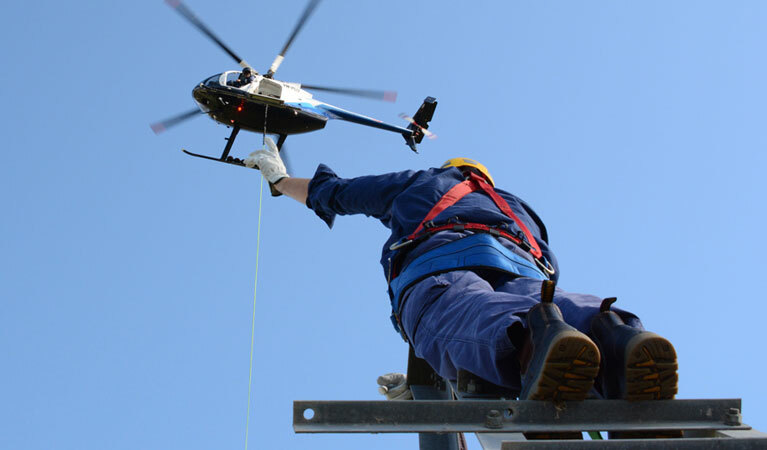 Composite poles, which have a greater strength/weight ratio than traditional wood poles, require superior helicopter solutions that provide the power necessary to install poles along large-scale construction projects. FairLifts reserves helicopters for ROW and site inspection of power transmission lines through infrared thermographic inspection, detecting transmission line anomalies and ensuring affordable and timely inspection solutions, such as corona measurement with next-generation technology to spot corona interference in high-voltage transmission lines. FairLifts organizes access to helicopters for logistical transport for the entire length of transmission line construction projects, including the transport of equipment and materials, driving caissons, steel placement, and tower erection. Our network of operators guarantees strict safety standards for transport to remote and rugged areas across the state. FairLifts account managers are on hand 24/7 to deliver expert assistance for North Carolina industries and agencies looking for advanced transmission line construction services. Our global network of operators, working with expert crews, ensures cost-effective and efficient solutions for time-sensitive transmission line construction projects.